For some, the matter of business ethics in today’s world can be a complicated issue. For George Haddix, it has always been very straightforward. Ethics is treating people fairly. The “ethical” issues of today are really more matters of communication, or lack thereof. The number one ethical responsibility of a leader of an organization is to make a profit. We were fortunate to have time to sit down with Mr. Haddix and learn about his views on running a business. With his vast management and leadership experience, the next hour and a half turned into a whirlwind of information sharing.  University of Nebraska at Omaha, a Master’s degree in mathematics from Creighton University and a PhD in mathematics from Iowa State University. After a brief stint of serving as a professor at his three alma maters, Mr. Haddix decided to enter the business world. In his career, he served as President, General Manager and CEO of several computer software related organizations in the Omaha area, including Analytical Consultants, Inc., HDR Systems, Applied Communications Inc., Netcenter, CSG Holdings, Inc., and PKWARE Holdings, Inc. After spending over 40 years in the business world, he continues to operates his own consulting company today, Riverton Management Resources, LLC. In addition to his illustrious business career, Mr. Haddix and his late wife Sally have taken steps to support the greater Omaha education system, especially in the fields of science and mathematics, by providing scholarships and donations to several area learning institutions and by serving on several area boards.  For all of his service to the Omaha community, Mr. Haddix was inducted into the Greater Omaha Business Hall of Fame in April, 2011. What does "business ethics" mean to you? He also believes that the most important thing a company must do is make money. He went on to say that it would be unethical to all of the stakeholders if he did not focus on making a profit in his role as a leader of an organization. Further, many common “ethical dilemmas” faced by business leaders today really boil down to basic business issues that can be handled by a company’s human relations department. He notes that most companies have established policies and procedures that can be referenced when dealing with such issues. What constitutes an “ethical issue”? The types of issues that Mr. Haddix categorizes as “ethics related” tend to be instances that involve an action that harms one of the company’s stakeholders, i.e. stockholders, employees and customers. Can you offer an example of an ethical situation in business that you faced that was hard to handle? Mr. Haddix recalls a situation in which he had to deal with an employee who acted improperly. The employee’s action could have resulted in serious harm to the company. and they were waiting on a sizeable contract to come in which would help the company meet its quarterly sales goal. The salesman handling the account produced a signed contract just days before the end of the quarter. Naturally, the organization included the sale in its quarterly figures. A few days later, the salesman informed Mr. Haddix that the contract actually included a stipulation that the contract was not valid until it was approved by its board of directors. The problem was that the board of directors were not scheduled to meet until fifteen days after the start of the new quarter. Mr. Haddix felt he had an ethical responsibility to restate the company’s earnings, even though they were not a public company at the time. He also felt he had to deal with the salesman who acted improperly. Because the contract was technically not valid for another two weeks, they should not have claimed the sale. The salesman knew as much, and he chose not to tell Mr. Haddix of the stipulation because Mr. Haddix would not have included the sale in the quarterly figures. like this affect the integrity of our organization.” Mr. Haddix stated situations such as this, those involving sales and reporting financial data, can be problematic for the software industry. It is especially important for public companies to meet quarterly projections and that places a great deal of pressure on sales staff who are trying to meet goals. Can you think of examples of simple “ethical situations” that you have handled? Mr. Haddix states lying on an expense report is a very black-and-white matter that does not require much deliberation. On the other hand, many issues that some view as “unethical”, are simply opportunities for discussion or clarification. As an example, if a salesman buys a bottle of wine for a client at a dinner, and the company policy does not allow alcohol to be purchased on a company credit card, did the salesman behave unethically? Mr. Haddix explained this situation could be handled by Human Relations or the manager to provide further interpretation on the company’s policy. They could determine that the policy needs to be revised to allow for these types of expenditures. If instead, a salesman purchases wine for himself using the company credit card, Mr. Haddix believes that would be an entirely different matter as the salesman is now taking money away from the company. The second scenario would be categorized as an ethical issue because the salesman’s actions cost the company money. Generally speaking, Mr. Haddix expects his people to be smart enough to know the difference between a minor policy variance and an improper activity. Do you see any connection between how you were raised and how you handle ethical situations? Mr. Haddix believes his views on ethics may relate to his mathematical way of looking at things. He also credits the people who influenced him in his early years, namely his parents, teachers and religious leaders, who all tried to instill a sense that it was important to follow rules. He shared that it used to be a lot easier for teachers to get a point across back when he was in high school because they had more options, i.e. use of a ruler. Over the course of his career, Mr. Haddix paid attention to leaders around him and tried to mirror the ways of those he respected. Mr. Haddix offered as an example a story about how a CEO handled a difficult situation with a news reporter. The reporter had heard about a meeting the CEO had with an Executive Director from a different company and she requested an interview to discuss the meeting. The CEO agreed to meet with the reporter and Mr. Haddix sat in on the interview. When the reporter’s story broke the next day, it became apparent that the reporter had gotten many of her facts wrong. Mr. Haddix stated he really admired the way the CEO handled that situation by just letting it blow over. Has the concept of “ethics in business” changed over the years? According to Mr. Haddix, there never used to be ethical committees or Ethics Officers until about 20-25 years ago. Policies have also changed over time. Mr. Haddix described the atmosphere of a company he took over many years ago. The company had about 25 people at the time and they had a practice of sending around a beer cart late on Friday afternoons. As the company grew to 100-200 people, they had to stop the Friday routine with the beer cart because some people didn’t like it. The organization was growing and people felt it was an ethical issue to have that kind of activity at work. Mr. Haddix explained he actually stopped the practice because he was protecting the value of the company. For him it was a business decision, not an ethical issue. What advice would you offer to graduates coming into the workplace today? In his opinion, many of today’s “ethical dilemmas” can be attributed to a basic lack of communication. We also need to keep in mind that issues are often not black and white because people are involved. On the other hand, if a rule, either written or implied, is broken, it becomes a business issue that the human relations department or a manager should handle. It quickly became apparent to the interviewers that Mr. Haddix exemplifies the standards of ethical business conduct. He views many of the “ethical” issues of today as simply being a matter of following rules and doing the right thing. This is very much a principled based reasoned approach that fits with his mathematical background.